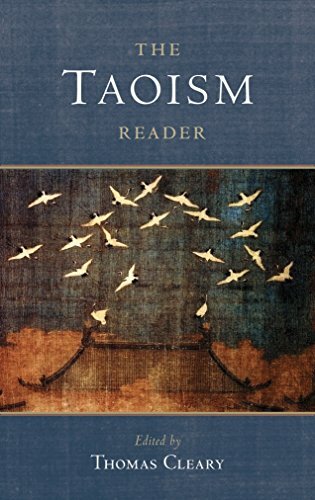 Amazon.com description: Product Description: From the time of its earliest sages in prehistoric China, Taoism has looked to the underlying Way of all things (the Tao) as a guide to thoughts and actions. For the Taoists, the patterns of nature revealed the answers to their deepest spiritual questions and provided the inspiration for their unique teachings. Over the centuries, Taoism has blossomed into a profound tradition with a variety of formsâall united by a single, core philosophy of radical simplicity and natural living. Today, Taoism is most widely known through the Tao-te Ching, yet its corpus of literature is vastâranging from philosophical dialogues and essays to astonishing fables, legends, proverbs, and more. This compact collection of Taoismâs greatest masterpieces introduces its most fundamental teachings and reveals the essential spirit of Tao. About: From the time of its earliest sages in prehistoric China, Taoism has looked to the underlying Way of all things (the Tao) as a guide to thoughts and actions.